The CoffeeShop Blog: Free CoffeeShop CutOuts 1! I love using decorative cutout shapes in my designs, especially in storyboards and blog headers. However, good ones are almost impossible to find free, and when you do find them they are usually not intended for commercial use. It is the same for ones you buy, they are affordable but they don't always come with a commercial license. Well, I decided to start making my own and posting them here free for my readers. These are high resolution files, and each download includes an adjustable .psd for Photoshop or Photoshop Elements, a .png with a transparent background, and a .jpg. 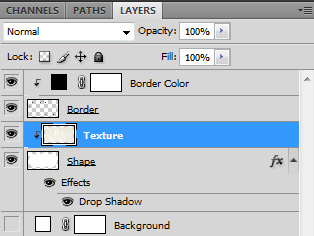 You can add textures/colors to these shapes and the adjustable color border is optional. And best of all, my CoffeeShop CutOuts can be used personally or commercially, just don't sell them "as is". You can add color or texture/digital paper to the CutOut. Open the layered CutOut (.psd file), open your texture/digital paper and drag it on the CutOut, placing it just above the Shape layer. Then group that layer with the Shape Layer. If you want to add color add a color fill layer and group it with the Shape layer. You can also adjust the drop-shadow to taste. If you want to change the border color, click on the little colored box by Border Color and adjust color to taste. I hope you enjoy these cutouts. I am doing a series of them so be sure to check back. 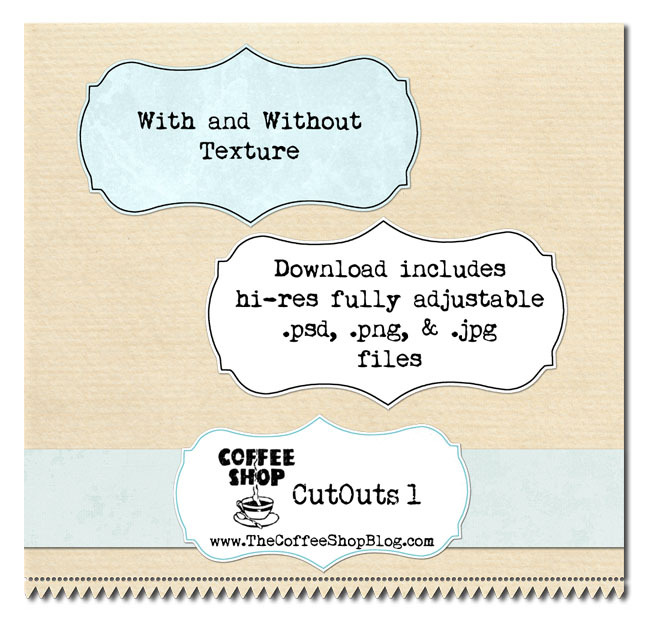 Download the free CoffeeShop CutOuts 1. You are the NICEST blogger/photographer/action and template maker EVER! THANKS! These are SO awesome!!!!! Can I just say.... I'm thankful for you! Thanks a lot for all these wonderful freebies. Your amazing blog is a valuable source for inspiration and know-how. Thanks for doing this - I have not been able to find anything like this anywhere unless I was able to pay the $$! Well, while I'm making a total idot of myself, let me wonder out loud a little more... do sites like Flora Bella have black Friday sales? You are amazing!! Thanks so much for you generosity!!! Happy Turykey Day! As always. Thank you so much. And I agree. You do so with skill, grace, creativity and modesty. That's rare! Once again, thank you! You are absolutely the best! I really love this and appreciate you sharing it with us. You are so generous. I CANNOT figure out how to use it. I'm wanting to add the shape to a card I'm making and then type text on top of it. How do I get the shape onto the card? Thanks! Thank you, this is going on our holiday card for sure! I love your blog! wow! I have been looking for some of these for days now and was getting ready to purchase some, but didn't because of the exact reasons you posted. And now to find them generously designed and offered for free here on your blog is so wonderful! THANK YOU SO MUCH! Thanks so much! GREAT of you to offer us so many options for free! I can't seem to make this work with the png - each time I try to, I get a white background - any suggestions/hints? Thanks for all that you do! I am a huge, HUGE, fan.